HPP “Piva” is a reservoir dam facility with one of the largest concrete arch dam in the world. It was built in 1976. Installed power – 342 MW. HPP “Perućica” is the oldest large hydropower plant in Montenegro, and was put into operation in 1960. Its installed capacity is 307 MW. 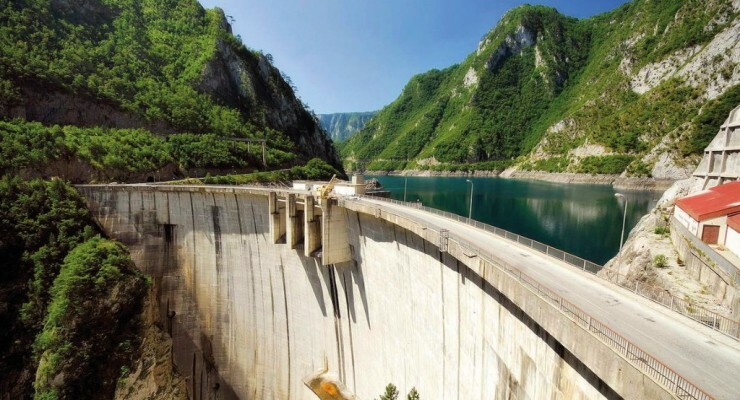 Power utility Elektroprivreda Crne Gore (EPCG) plans to invest EUR 40 million in the revitalization of two hydropower plants (HPP), Piva and Perućica in the next five years (till 2022), what will extend their life expectancy. High operational readiness and safety of the generation will be secured, as well as distributed control system for units, facilities, and plants as a whole. Both HPPs will be fully capable of providing auxiliary and system services for Montenegro’s electricity system, such as secondary and tertiary regulation. HPP Perućica revitalization includes the reconstruction and modernization of hydromechanical and electrical equipment in units A5, A6 and A7, the reconstruction of the Opačica and Moštanica channels, as well as the distributed control system, and the revitalization of the units A1, A2, A3, A4 and A5 is also expected. Also HPP Perućica will get new, 58.5 MW unit, its eighth in a row, which will cost EUR 23 million. As part of the HPP Piva revitalization, procurement of modern equipment for monitoring dams and sanitation of injection curtains is planned, as well as capital overhaul of two units during 2019 and 2021.